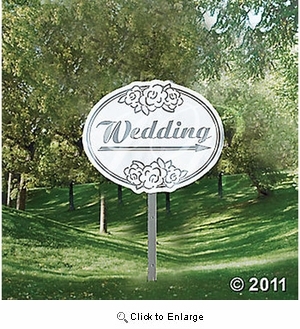 �Wedding� Yard Sign. Point your guests in the right direction with a ready-to-install cardboard yard sign. 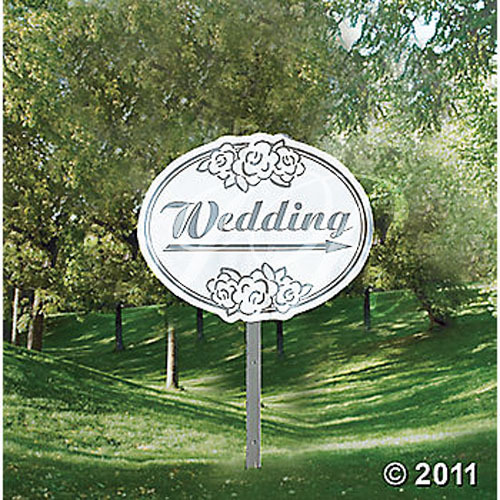 Ideal for an outdoor ceremony in the park, each 14 1/2" sign comes with a 21" plastic stake.